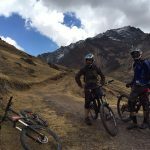 Meet the riders of the Gravity Peru Bike Team and learn who your next killer ride will be with. 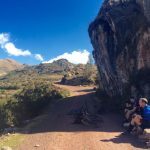 Each lead guide speaks native English, pays close attention to you level and ability and also will explain the trails to you and prepare you for technical or dangerous terrain. 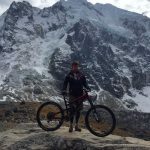 A passionate mountain biker from Western NY and a really cool guy in general, Bill now guides for the Gravity Peru Bike Team. 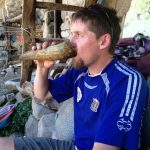 After living in Durango, Colorado for a few years he moved down to Peru with his family to work with the poor in Cusco, Peru. 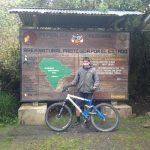 He moved into the mountain biking and tourism business after 7 years of volunteer work in Cusco, Peru. 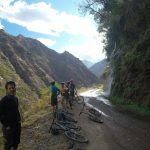 Now he guides the killer trails of Peru for Gravity and his Expedition Company Haku Expeditions. 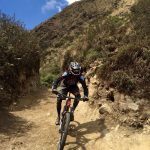 His favourite biking discipline: Enduro style riding and anything fast and fluid. 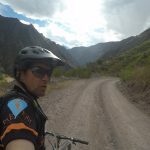 Also his favourite trails are Salkantay Mountain, Huchuy Qosqo (HQ) and Lamay. 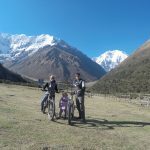 She loves to ride more than she likes to guide but is happy to get people out on killer single track any chance she can. Married to Bill, see above, and mom of 5 kids, she is a pretty busy gal. 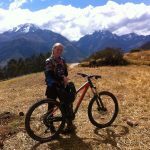 Her favourite discipline is DH and anything technical and hard and her favourite trails are Salkantay Mountain, HQ and Lamay. From Germany and now a Peru resident. Patrick loves music and biking. 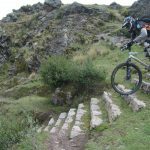 He rides a hard tail personalized Nicolai for the fun of it, saying, “Fullys are just too easy.” His bike will wow you with its lack of chain and killer gear box and his favourite discipline is DH and bike parks. 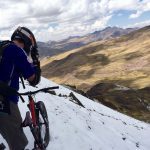 Patrick’s favourite trails are Salkantay Mountain and exploring for new routes.